This article, "Language Learning Strategies: An Overview for L2 Teachers," was written for teachers, but I think it should be useful for you as as well. Language Learning ideas posted on FLTEACH. Bear in mind that no two individuals learn exactly the same way, at the same pace or in the same style, so use these articles to help you work out your own best ways to learn. Once you have that, you are set to become your own teacher. Share with us your own "best strategies"
In Legal Writing in Plain English, Bryan Garner provides legal professionals sound advice and practical tools for improving their written work. It teaches legal writers how to organize ideas, create and refine prose, and improve editing skills. In essence, it teaches straight thinking--a skill inseparable from good writing. The principles and value of plain, clear writing are not limited to the legal profession. The exercises from Legal Writing in Plain English are organized under fifty principles. Click on the principle to go to its exercise page. § 1 Have something to say--and think it through. § 2 For maximal efficiency, plan your writing projects. Try nonlinear outlining. § 4 Divide the document into sections, and divide sections into smaller parts as needed. Use informative headings for the sections and subsections. § 5 Omit needless words. § 6 Keep your average sentence length to about 20 words. § 7 Keep the subject, the verb, and the object together--toward the beginning of the sentence. § 8 Prefer the active voice over the passive. § 9 Use parallel phrasing for parallel ideas. § 10 Avoid multiple negatives. § 11 End sentences emphatically. § 12 Learn to detest simplifiable jargon. § 14 Turn -ion words into verbs when you can. § 18 Don't habitually use parenthetical shorthand names. Use them only when you really need them. § 19 Shun newfangled acronyms. § 21 Plan all three parts: the beginning, the middle, and the end. § 22 Use the "deep issue" to spill the beans on the first page. § 23 Summarize. Don't overparticularize. § 24 Introduce each paragraph with a topic sentence. § 25 Bridge between paragraphs. § 26 Vary the length of your paragraphs, but generally keep them short. § 28 Unclutter the text by moving citations into footnotes. § 31 Draft for an ordinary reader, not for a mythical judge who might someday review the document. § 32 Organize provisions in order of descending importance. § 33 Minimize definitions. If you have more than just a few, put them in a schedule at the end--not at the beginning. § 34 Break down enumerations into parallel provisions. Put every list of subparts at the end of the sentence--never at the beginning or in the middle. § 35 Delete every shall. § 36 Don't use provisos. § 37 Replace and/or wherever it appears. § 38 Prefer the singular over the plural. § 39 Prefer numerals, not words, to denote amounts. Avoid word-numeral doublets. § 40 If you don't understand a form provision--or don't understand why it should be included in your document--try diligently to gain that understanding. If you still can't understand it, cut it. § 41 Use a readable typeface. § 42 Create ample white space--and use it meaningfully. § 43 Highlight ideas with attention-getters such as bullets. § 44 Don't use all capitals, and avoid initial capitals. § 45 For a long document, make a table of contents. § 46 Embrace constructive criticism. § 47 Edit yourself systematically. 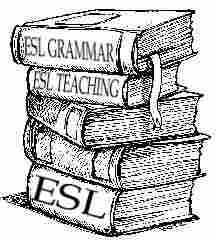 § 48 Learn how to find reliable answers to questions of grammar and usage. § 49 Habitually gauge your own readerly likes and dislikes, as well as those of other readers. § 50 Remember that good writing makes the reader's job easy; bad writing makes it hard. These exercises appear in Bryan A. Garner's Legal Writing in Plain English: A Text with Exercises, published by The University of Chicago Press and available at bookstores and on the Web at www.press.uchicago.edu. that will contribute to your reading success? suggests. First, words come in two forms: oral and print. we speak and write (Kamil & Hiebert, in press). There are many ouotstanding self-study sites online for grammar. All have interactive exercises for review, practice & immediate feedback. Many include power point for the benefit of visual learners. Here are a few of my favorites - student tested - to get you started. Don't feel that you need to use all of them - look for the ones that best suit you and your personal learining style. Don't fret if you find them too difficult: they are also not beginner study resources. Try them again when you are further along. I came across this page about "textmapping" while looking for intermediate and above grammar review sites for a native speaker who wanted to join EFI Beginner. Come to think of it, you might be interested in the grammar pages I sent him - will post separately. Anyway, "textmapping" is for teachers and parents who homeschool their children rather than for students. However, it looked interesting and is supposed to help with reading skills, so I am sharing it. Let me know what you think. Is this something you would like to learn more about? An oxymoron is a phrase that has words that seem to have opposite meanings. Studying oxymorons is a very interesting way to think about and learn vocabulary. Make a list of 5 or 6 oxymorons from the list. Why are they oxymorons? What are the words that have opposite meanings? What are the opposite meanings? Are they really opposite or is there another xplanation (a double meaning, for example)? Are they serious or funny oxymorons? I am back. I still have jet lag. I will view all the articles and learning materials during my absence, and try to catch up with you guys. When I was reading a book for American Accent Training, I met a following sentence, " What if he forgets?". This is one of 17 sentences for combinations in context. I know that meaning of a sentence depends upon the context. There are no related sentences this time. It's just a sample of "T sound". In this sentence, I imagine as follows: I'm not sure whether he forgets or not. I'm afraid that he forgets. Then I'd like to make sure him not to forget"
I'd like to know whether my guess is correct or not. Would you tell me what situation you usually use this sentence? Do you know any thing about "Blog" ? Hmm, I think this is my first time to post some article on this blog. Well, when you heard "Blog" at the first time,what did come up in your mind first ? For me, I still memorise when my friend told me to make the"blog". I though it sound like "block or "Box". Hmm, why I had to make a box, what did he suppose to be? Actually,The term "blog" is derived from "web log". "Blog" can also be used as a verb, meaning to maintain or add content to a blog. Ref:http://en.wikipedia.org/wiki/Blog. For more information and blog's history. Ok now everyone might know about Blog, so the next question is what can we do with blog ? Everyone might guess that we can write everything whatever you like. Something is dealing with your experiences and you would like to share your idea to people in this cyber space. Yay, enjoy with writing on the blog. I'm sorry if I wrote in a post because I include some links in my message and I want to make them operational since the possibility of hypertext is absent in the space reserved for comments . Also, I tried to use the HTML language, but in vain. Anyway, during the last period, I discovered two wonderful blogs that I try everyday to read a post of them . The first one is my marrakesh . Teacher Vanessa, I'm sure that you will enjoy reading it. The second one is a food blog which has a French title " la tartine gourmande". The writer is a french and lived in US. I admire the entire blog: the writing style, the pictures, and the recipes. On the other hand, I tried to put the SQ3R in practice with my children. They were so excited to test it, especially when I told them this strategy of reading is taught me by Vanessa! At the end,instead of reading online newspapers, I watched political and economic news that what I'm intersting in on the TV. I've been quiet on the blog because of computer problems at home. I have an ancient laptop I can check email on. That's about it. I can't run blogger on it. All but the simplest of web pages either won't load or crash the computer (as in "this computer has just performed an illegal operation" and both browser and mail close). I reinstalled operating system (xp) but now have problems getting my product key code accepted. I don't even want to think about what or how many files - lessons, research, images, rough drafts of novels, essays, and so on - have been lost. Normally I'd be cranky about paying to use a computer and get online but right now I am content just to be using a speedy computer not from the last century that doesn't require slow, complicated workarounds just to check and answer mail. So thank you UpHi net for your public access computers. I have until school lets out and the gamers roll in before anyone asks me to vacate the computer I am on. So what's your excuse for being quiet? I should have logged on here and seen all manner of discussion. Does anyone else have comments on technical reading material? Lesson requests? More to say about reading and social change? And on the grammar front - how are you doing with verbs and verb tenses? The best "verb source" I've come across is English Page, which also has a reading room. After all, reading every day is still the best way to improve your reading. Speaking of reading, write us and tell us what you have been reading - in English - and what you recommend reading. What are your favorite online newspapers? A few of mine are AlterNet, The New York Times, and Salon. I've also been reading poetry and recommend Poetry International and Poetry Foundation. Some have commented on how hard poetry is to read, but reading poetry in another language is an excellent way to pick up the rhythms of and a feel for the spoken language. Besides, you can read poetry for children. That will give you the rythym of the language but with a simpler vocabulary. as they search for the light. please don’t go out and explore. The Poetry Foundation site has an excellent section on children's poetry too as well as a collection of poems organized by age, theme, reading aloud, poet, etc.